This c1870 Malling-Hansen Writing Ball is expected to fetch as much as $US100,000 when it comes up for auction in Cologne on May 21. The image above comes from the latest Auction Team Breker newsletter, spruiking this year's Spring and Autumn auctions. The Gardner will be of particular interest, as so few of these ever appear for sale. One came up for auction at Christie's in South Kensington, London, almost exactly 22 years ago and sold for £3520 (or $US5267 at the exchange rate back then). It's a fair indication of the way things have changed in the typewriter collecting world since 1994 that this latest Uwe Breker offering has an estimate almost 20 times higher. The Gardner was a failed mid-1890s attempt to market in Europe a low-price (eight guineas), low-maintenance 13- or 14-key single type element machine expressly designed for correspondence. 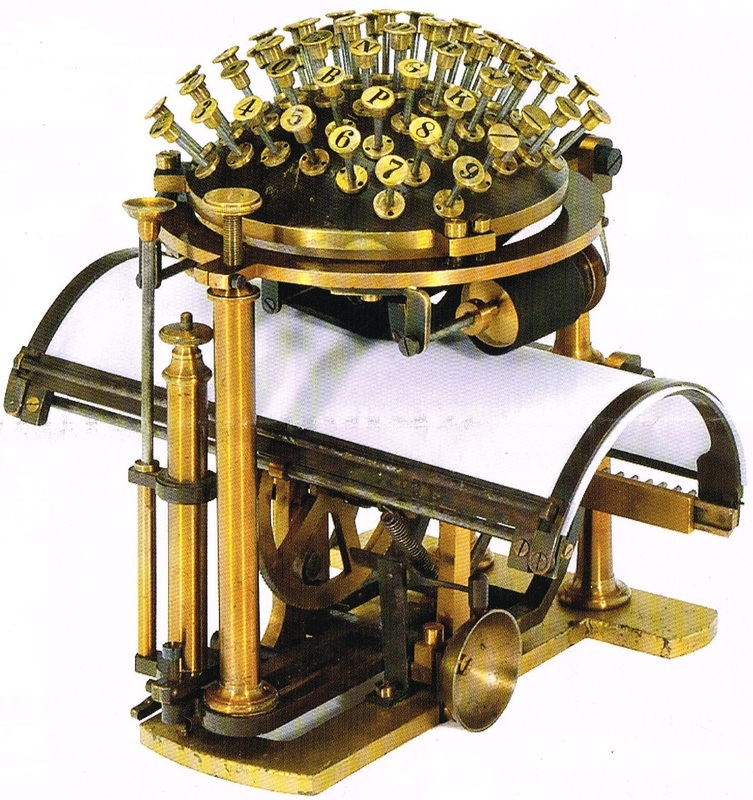 Lancastrian John Gardner, a self-styled "typewriter specialist, inventor and dealer", came up with the idea for this strange 7 3/4lb, 10 1/2 inches x 10in x 5 1/8in device with a 24 square inch keyboard sometime in the late 1880s. 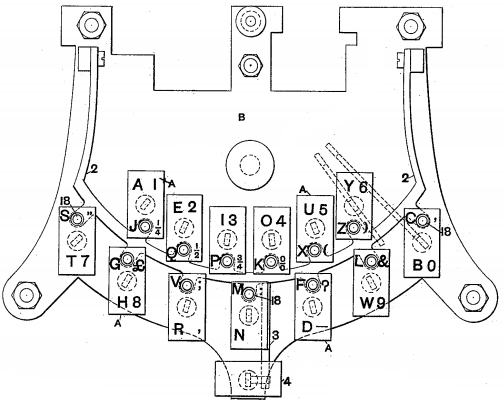 The Gardner has a nickel-plated frame on a japanned iron base. 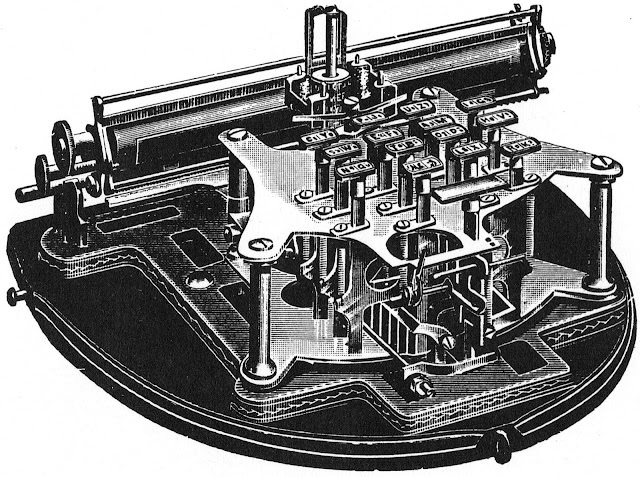 It was manufactured by the Gardner British Typewriter Company in Manchester, England. Paul Robert wrote of it at the Virtual Typewriter Museum: "In retrospect, some typewriter designs are admired mostly because their inventors managed to invest tremendous energy and ingenuity in something that was bound to fail. The Gardner is a good example. It is one of the most impossible writing machines of all times." 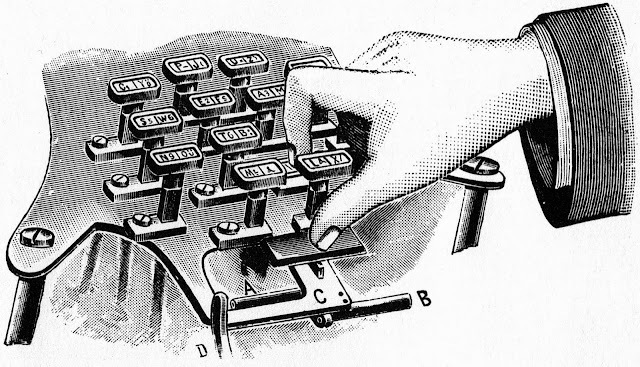 Berthold Kerschbaumer, on Richard Polt's The Classic Typewriter Page Typewriter Spotlights, described the Gardner as "one of the most peculiar constructions in the long history of the typewriter". John Gardner was quite possibly the only man in history to list himself on a census return form as a "Typewriter specialist, inventor and dealer". He was born in Rhodes, Middleton, Manchester, and baptised there on September 20, 1863. Middleton is a town within the metropolitan borough of Rochdale, in Greater Manchester. It stands on the River Irk, five miles from Rochdale and 4 1/2 miles from the Manchester city centre. 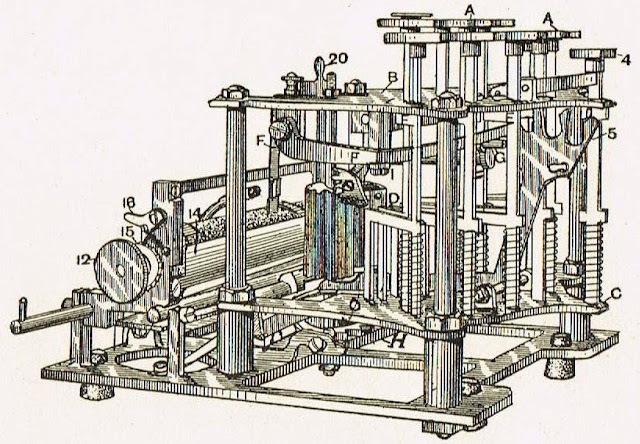 By 1911 Gardner was calling himself a mechanical and electrical engineer, "experimental only, no manufacturing", working on his "own account" from a home office. He died, aged 65, on May 2, 1928, at Sandhurst, Bolton Le Sands Carnforth, Lancashire, leaving £1882 3s to his widow Emily and his daughter, also called Emily. By then his typewriter had, understandably, been long forgotten. A Gardner would certainly be a nice thing to find ... I'll never afford one on the open market, but maybe I'll stumble into one in a junk shop in London this summer!